The new Alphacool Eispump VPP755 - Single Edition V.3 takes your system to the next level of evolution in pump technology. Thanks to the ceramic axle, the Alphacool VPP755 Eispump is smoother to run. 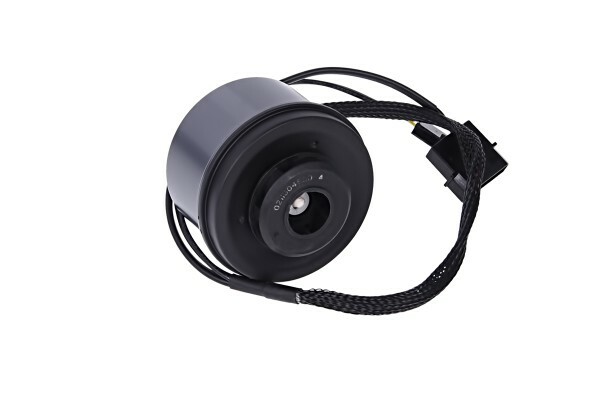 The external motor coils also ensure greater stability and less vibration. Thanks to the delivery height of 4.25m, the Alphacool VPP755 Eispump delivers more power than its predecessor. Enjoy full power at half power consumption. Alphacool gives you many possibilities to control your Alphacool Eispump VPP755. Control it classically via PWM or by using the manual rotary switch directly on the pump. You can set your preferred speed directly via the 5 levels. Use the unique interaction of the manual adjustment possibilities when combining them with the PWM control. Create perfect flow through accurate settings! Decide for yourself what has priority in your system, because the Alphacool VPP755 Eispumpe is shorter than the classic D5 pump and the high-quality aluminium housing makes your system a visual highlight. Combine your Alphacool Eispump VPP755 with the Alphacool Eisvover V.3 and make your hardware look even more elegant or illuminate it in the strongest colours. Should the pump begin to rattle while in operation, loosen the retaining screws on the pump by a quarter- to half-turn. Due to the very closely measured tolerances, the impeller in a pump that is too tightly screwed on can start to knock against the pump lid. Removing the impeller from the ceramic shaft will cause the upper clamping ring to over-expand, which will destroy it! Removal will void the pump’s warranty! Wurde mit der V.3 das Problem, dass die Pumpe gelegentlich nicht anläuft, behoben? Was wurde alles geändert von V.2 zu V.3? Ja, dieses Anlaufproblem wurde behoben und der 3Pin Molex Stecker wurde entfernt und auf den 4Pin PWM Stecker umgelegt, somit gibt es nur noch den 4Pin PWM und 4Pin Molex Stecker.